I've been worrying lately that we are suffering from a lost generation of entrepreneurs. That was my first reaction when I read what Sequoia's Doug Leone said a few weeks ago about innovation and age at a recent talk with MIT Sloan students visiting Silicon Valley, where Leone claimed that only people under the age of 30 are truly innovative. Over 30 folks can manage innovation, Leone observed, but you need to be under 30 to create it. Examples cited included Jack Dorsey, Twitter's founder who was 30 at the time that he started the service. Now you can argue whether this is right or whether it's a hyperbolic statement for effect, but let's put that aside for now. Here's my worry: when I was under 30, I had the opportunity to be a part of a rocket ship start-up (Open Market), that promoted me into an executive team position of a public company in my 20s. The lessons and skills from that experience inspired me to delude myself into thinking I could be the founding president of another start-up, Upromise, when I was 30. At the time, when I looked around at my peers and friends, they were all doing the same thing at a similar age. Folks like Jeff Glass, who started m-Qube at around the same time and age, Scott Friend, who became president of ProfitLogic, Russ Wilcox at e-Ink and many more). These companies all eventually became substantial companies that each resulted in exits north of $100 million. Now fast-forward to today. During the period of 2001-2009, there have been very few substantial start-ups built to allow that generation's 20-somethings to learn and develop company-building skills. As a result, we have a lost generation of entrepreneurs. Not enough 20-somethings, or let's even say under 35, have had the opportunity to see success at a young age and learn the important lessons of start-up leadership. I think once you've seen some success in your 20s, you are that much more likely to be a strong entrepreneurial advocate, mentor and serial starter in your 30s. When my partners and I tried to develop a list of today's under 35 entrepreneurs who had started companies and seen meaningful success with them, it was a depressingly short list. In addition to Twitter's Jack Dorsey, Mark Zuckerburg is an obvious one, as are the YouTube founders, Chad Hurley and Steve Chen. Less well-known standouts include the Great Point Energy team (Andrew Pearlman and Avi Goldberg), who saw some success at Coatue (sold to AMD) which led them to starting what looks to be a fascinating and potentially game-changing clean energy company. And there's Ric Fulop, who co-founded A123 in his late 20s, last year's IPO darling. So what do we do about it? I suppose one thing we can do is celebrate the heck out of the under 35 entrepreneurs we know who have seen success because we need their peers to know that it's possible and encourage them to serve as role models to today's students so that we don't suffer from yet another lost generation in the years ahead. So who else should be on our list? I'm pleased to have a guest blog post by Kevin Oakes, CEO of my portfolio company i4cp (the Institute for Corporate Productivity) and a leading thinker in leadership and high performance. Pick a leader – any successful leader. Then search Amazon and see how many books and other publications come up on that person. Abraham Lincoln? 83,642. Gandhi? 61,923. Even Barack Obama, who was widely introduced to the world just five years ago, has 8,670. People love studying successful people. Of course, many books have been dedicated to this subject. From Tom Peters’s and Bob Waterman’s early 80’s best seller In Search of Excellence to Jim Collins’ Built to Last and Good to Great, there has been a succession of books that leaders and managers across the globe have devoured. Programs such as GE’s Six Sigma have trained countless people in how to achieve top performance and consultants have built entire practices around elements of high-performing companies. Part of the reason is the definition – what exactly do we mean by high performance? Is there a difference between simply surviving (which was the fate of some of the companies profiled in Built to Last, for example) and performing well over a long period? Do we mean companies which outperform others in their own industry or across industries? Over how long a time period does an organization need to perform exceptionally well in order to be considered a “high performer”? And which measures, financial or otherwise, are the best ones to use? And, over the years, our research team has examined well over 100 different core human capital areas and tried to determine the differences between high-performing and low-performing organizations. The research has clearly shown that no single ingredient guarantees organizational success. Rather, high performance is like a delicate entrée – based on a staple of core ingredients any one of which, if left out or of inferior quality, will ruin the entire item. Their strategies are more consistent, clearly communicated and well thought out. They are more likely than other companies to say that their philosophies are consistent with their strategies and their performance measurements mirror their strategies. Leadership is clear, fair and talent-oriented. Those leaders are more likely to promote the best people for the job, to make sure performance expectations are well known and consistent with the strategy, and to be committed to developing their people. They are more likely to have a strong market focus and go above and beyond for their customers. They are organized internally around what’s best for the customer, they think hard about customers’ future and long-term needs, and their strategy is based on customer data. And they are more likely to see customer information as the most important factor for developing new products and services. Take stock to determine where your organization stands in these five areas, and be honest – even the best performing companies aren’t always superb in each area. To get an objective view, survey the workforce on these domains as well as use other assessment tools. Once you’ve determined your areas of strength and weakness, make sure senior management is involved in improving on the weak areas while not taking the eye off of the strengths; in tough economies it can be easy to stop focusing on core areas that the company has excelled in. Don’t forget to investigate the practices of other organizations that are excelling in your areas of weakness; it’s amazing how some very simple and inexpensive ideas can make a huge difference in closing the gap. Although companies should focus on the specific tactics for boosting their performance in each of these five areas, it’s important to align the five areas as a whole. Each domain feeds off the others, and ignoring one is like leaving a key ingredient out of a culinary masterpiece. Although these efforts should continue indefinitely to sustain performance over time, organizations should also do regular reevaluations of their progress so they can make course corrections as needed. View a recording of a webinar, The Five Domains of High-Performance Organizations. Interestingly, the reason there is a debate is that the real-time Web, and Twitter activity in particular, is by and large invisible to the standard Web methods of traffic monitoring, information search and discovery. When I fire up TweetDeck to track real-time news and information (I almost never go to websites anymore to read the news – it is curated and linked for me via Twitter) as well as the changing status of my friends and family via Facebook (also tracked conveniently in TweetDeck), these information streams are invisible to compete and other web measurement services. Google and Bing are scrambling to catch up and paying Twitter good money to access the data stream (which, Spencer Ante of BusinessWeek reports, enabled Twitter to become profitable in 2009). All of this, and the more robust Twitter API, is transforming Twitter into a platform company rather than simply an engaging consumer service. The 50,000 applications available on Twitter – and the tens of thousands coming – need to be discovered, rated and reviewed, and ultimately be available for purchase. These developers need services to get their apps discovered and a back-end platform to take payment. Where Have All The Good Mentors Gone (from Boston)? I confess to being a Shrek fan. 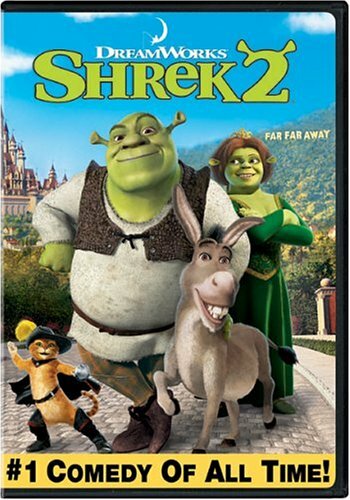 My kids made me (well, sort of) buy the music CD to Shrek 2 and my favorite song on that CD is the Jennifer Saunders song – "Holding Out For A Hero". When they were little we would play it over and over again in the car. I had that song ringing in my head as I joined a few other start-up mavens at a recent gathering last week organized by Scott Kirsner at the Microsoft NERD Center in Kendall Square. One of the topics we discussed was: where have all the good mentors and angels gone from Boston? Unlike in Silicon Valley, where successful entrepreneurs seem to jump back into the fray start-up after start-up, Boston's successful entrepreneurs seem to fade off into the sunset. Two of the more successful companies in Boston in the 1980s were Lotus and Powersoft. Their founders – Mitch Kapor and Mitch Kertzman, respectively — are brilliant guys with an incredible amount to offer. Unfortunately, both moved off to California and are active investors and mentors for young start-ups out there. I served as an executive team member of two companies in Web 1.0 era who were very successful in their day – Open Market (IPO 1996, peak market capitalization of $2.5 billion) and Upromise (acquired by Sallie Mae in 2006 for 9 figures and today has $21 billion assets under management in 529 college savings accounts and 12 million members). My two bosses, Gary Eichhorn (Open Market CEO) and Michael Bronner (Upromise founding CEO), were incredible mentors to me, but both are now retired and mainly focused on non-profit activities and family. Unfortunately, for the next generation of young entrepreneurs in Boston, there simply aren't that many former founders/CEOs who built large, successful companies hanging around. I can't blame them, but in order for this community to build the next wave of billion dollar companies, we need more senior talent mentoring and investing in our youth. There are some signs that things are changing. For example, Bill Warner (founder of Avid) has invested a ton of energy in helping get TechStars off the ground. And it was good to read in last week's news that Don Maclagan, Nicholas Negroponte and James Pilotta have stepped up and invest in music-intelligence start-up Echo Nest. I would love to see more of this going forward. We need the old heroes to stick around and teach the next generation! "Where's the street-wise Hercules to fight the rising odds?" – Jennifer Saunders. For decades, the venture capital industry was like a Yale Secret Society – very clubby, discrete and opaque. VCs had all the power in the VC-entrepreneur equation, and entrepreneurs had to work hard to decode the mysterious VC process to obtain funding. The amount of transparency and richness of information available to entrepreneurs about the VC world is unprecendented. This is surely leading to more efficient markets in what many call the most inefficient market of all – the dance of small businesses seeking capital.